An actor who appeared in James Bond films and as a Jedi master in the Star Wars franchise has collapsed and died during a theatre rehearsal. 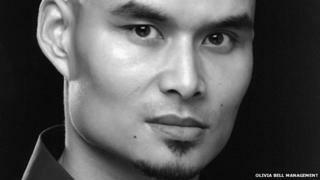 Kan Bonfils was rehearsing for Dante's Inferno, which was due to open at The Rag Factory in London this week. Members of the production's Craft Theatre company and paramedics were unable to resuscitate Bonfils. Chris Hislop, the company's spokesman, said the cast and crew were devastated by the death. ''Kan collapsed during a rehearsal and the director Rocky Rodriguez Jr performed CPR on location." Mr Hislop added: "The entire company are in shock. There is absolutely severe sadness, it is a real tragedy." The cause of death is not known. Dante's Inferno is expected to continue with another actor from the theatre company replacing Bonfils. Bonfils played a "henchman" in 2012's Skyfall with Daniel Craig and Isagura in 1997's Tomorrow Never Dies with Pierce Brosnan. He also appeared as Jedi master Saesee Tiin in Star Wars: Episode I - The Phantom Menace (1999), opposite Liam Neeson and Ewan McGregor. He also had roles in Lara Croft Tomb Raider: The Cradle Of Life (2003), Batman Begins (2005) and several productions on the West End stage.